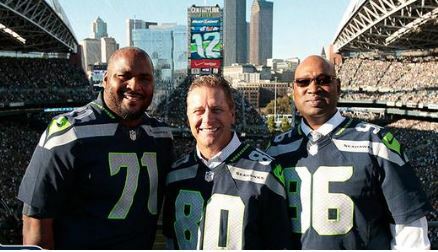 The Seahawks now have their Hall of Fame Mount Rushmore. 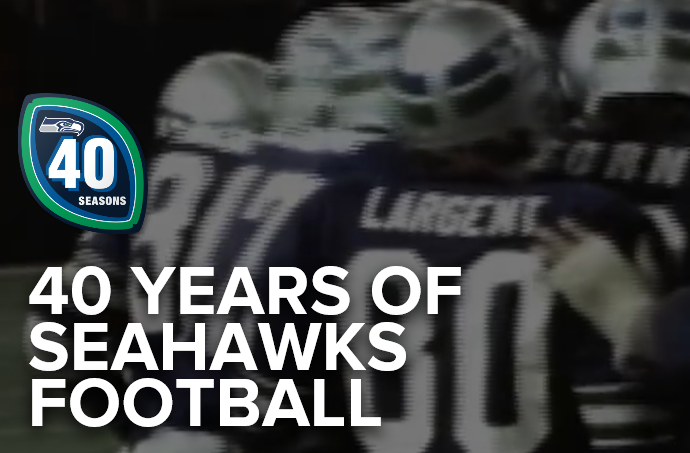 Over the weekend, Kenny Easley joined Steve Largent, Cortez Kennedy and Walter Jones as the only career Seahawks in the Hall of Fame. Easley and Jimbo Covert (Bears) were the only players from the NFL’s Team of the 1980s who were not in the Hall. Thanks to the seniors nomination, Easley finally got in. Can a helicopter pilot be a jet-setter? He can when he’s Russell Wilson. The Seahawks’ top stars did their bit for NBC’s “Sunday Night Football” opener. The Seahawks will be on NBC four times next season. The rookies heard words of wisdom from Walter Jones, Marcus Trufant and other former Seahawks. Pete Carroll listed six areas of major competition for training camp. According to the Seahawks.com poll, fans are most looking forward to seeing how the offensive line and running back play out. John Boyle of Seahawks.com offered 10 takeaways from offseason workouts. The Seahawks worked on pursuit this offseason, and Bob Condotta hypothesizes that Carroll is trying to get his team to force more turnovers. Will Kam be to Seattle as Emmitt was to Dallas? The 0-2 Seahawks have an 11 percent chance to make the playoffs and a 1 percent chance to win the Super Bowl, history says (just three of 204 teams that started 0-2 have done it since the playoffs expanded in 1990). One of those teams was the 1993 Dallas Cowboys. 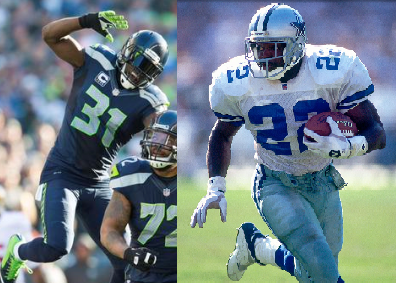 Will Kam Chancellor play the role of Emmitt Smith, who similarly sat out the first two games in a contract dispute? Smith came back for Week 3 and the Cowboys won 12 of the final 14 games and earned a second straight Super Bowl win.